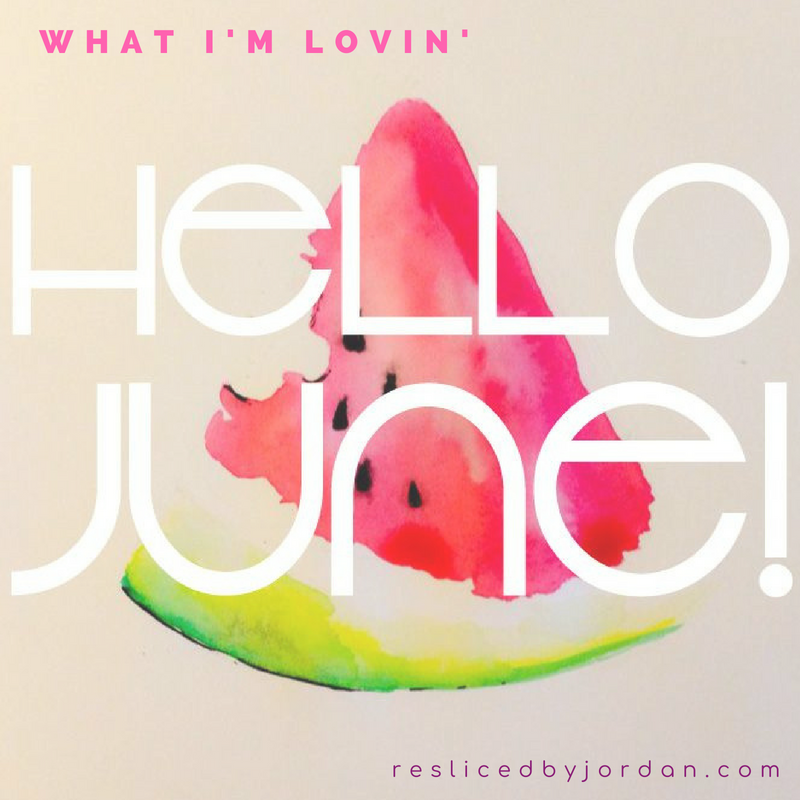 June feels like the official start to summer (despite the temperature telling me otherwise for months now…). I’m so excited to share with you some of the things I’ve been lovin’ this month! This recipe is so yummy!! As someone who hasn’t tasted bacon in 6+ years, the smoked cheddar hit.the.spot.! To me, it had just the right bacon-ish taste to satisfy my cravings. I was able to find a block of smoked cheddar pretty easy at my local grocery store in the “fancy cheese” area – worth it! If you make it, double the tofu (1 block isn’t quite enough to go with all the noodles). The mix of the flavors in the recipe is the perfect vegetarian comfort dish! 2. These 4 ways to make your closet more earth friendly from tonlé. Check out the post for more tips! I don’t remember exactly how I discovered her, but I’ve been following Becky Vieira (@wittyotter) on Instagram for a few months now. As a new parent, my perspective on many things has really shifted. There are so many things I thought I understood before that I see now I really did not. Living the experience is a lot different – though being empathetic goes a LONG way. I’m sure I have seen a “We love well-behaved children” sign before and not given it much thought. BUT I really appreciated hearing how the sign so deeply impacted Becky’s experience at this restaurant. As you all are quite aware, I haven’t had as much time for sewing as I used to (babies have a way of stealing all of our free time, right?!). I recently saw Meg’s post on Instagram and appreciated her reminder – taking a little time here and a little time there to pinch out time for what you love (i.e. sewing!) is worth doing. Lately I’ve been very slowly working on projects. I’ve been taking my time to enjoy the process rather than rushing through because I “need” whatever piece of clothing I’m working on. I’m trying to let the process feed what I need right now rather than fulfill a want. Read more about how I’m balancing new motherhood, creativity & self care in this post. 5. This article about how home sewing has shifted from being a way to opt IN to the consumer fashion scene and more about opting OUT. …sewing is no longer a necessary point of access to consumer fashion but a means of changing the way they consume fashion through increased mindfulness, often with an eye toward greater authenticity and self-expression. I also appreciated how Cayley defined the term “sewist” at the end of the post. Really a great read! Someone posted this earlier in month and with all the news lately, it was so timely. When I started struggling with depression a few years ago, I realized that withdrawing socially was a pretty consistent symptom. Since then, I’ve tried to be mindful of this. 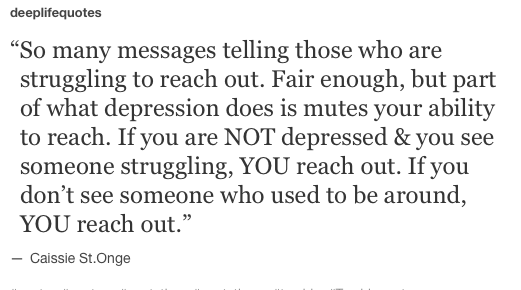 Rather than feeling sorry for myself because so-and-so hasn’t reached out to me, I reach out to them. More often than not, I hear back that they have been dealing with their own issues (aren’t we all?). It’s so important to be there for those you love and sometimes it’s the ones who don’t tell you they’re struggling who are having the hardest time. One of my friends is hosting a Plant Swap this weekend and I am so excited! I even ordered Andy & I matching t-shirts (hers, mine), but I’m pretty sure I ordered them too late for the event 😦 so I guess we’ll have to rethink our outfits. If you’re local, join us this weekend! Get all the event details here.